LG today detailed upcoming availability of its 2019 NanoCell LED 4K Ultra HD smart TVs with AirPlay 2 and HomeKit support. The new NanoCell lineup is divided into the Nano 8 and Nano 9 series, with 11 models in total ranging in size from 49 inches to 86 inches. Seven models will be available starting in April, followed by one model in May and three in June. Prices range from $799 to $4,299 in the United States. LG detailed availability of other AirPlay 2 TVs coming to its lineup last week and says more will be announced later this year. AirPlay 2 support will allow users to stream videos, music, photos, and more directly from an iPhone, iPad, and Mac to compatible LG smart TVs, complete with lock screen controls. HomeKit support will enable users to easily control the TVs using Siri voice commands or the Home app on iPhone, iPad, and Mac. Samsung, Sony, and Vizio also plan to release AirPlay 2-enabled smart TVs this year. 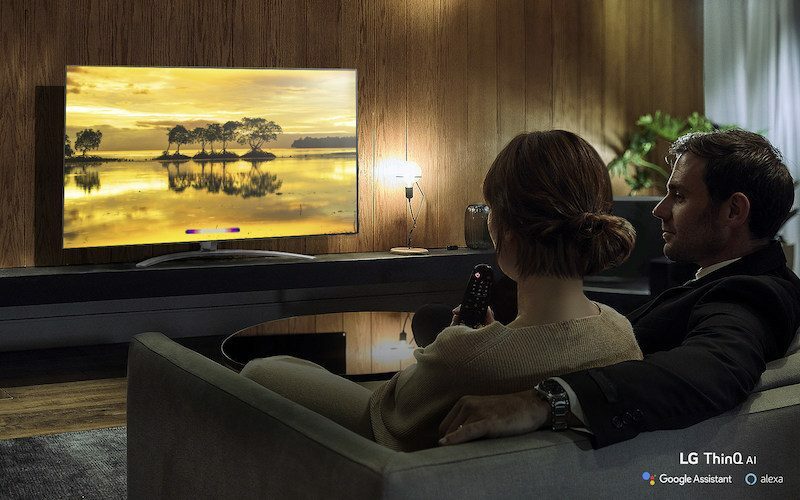 Last month, Samsung's new 2019 lineup of QLED 4K and 8K TVs with AirPlay 2 support became available to pre-order in the United States. MacRumors also reported that Roku is in talks with Apple about AirPlay 2 integration. LG's 2019 TVs will also feature Amazon Alexa alongside Google Assistant. What you don't have an endless supply of money to drop $799 to $4299 on a non-future-proof tv every couple years? After seeing LG screw over their customers who had just purchased a brand new 2018 TV, they made very clear that they won’t support their customers like other brands do. Why would I ever want to buy an LG tv ever again? Thanks for the heads up LG. LG is the most pathetic brand when it comes to software updates. so, this is all software, but no word on software updates to existing capable models, amirite? Sod it, I have an AppleTV 4K anyway (Bought before the OLED TV). This is partly why. People moan about apple but they do at least support their products with software updates for a proper period. People moan about apple but they do at least support their products with software updates for a proper period. Can anyone tell me what Homekit support for TVs consists of? Turn on and off, change channel and volume? More than this? How's the UI in the home app? I find it hilarious all the BS marketing terms used to describe LCD displays. "nanocell" "qled" "liquid retina". IT'S ALL JUST A REGULAR LCD DISPLAY! Don't buy into the marketing mumbo jumbo, folks. The worst offender has to be Samsung with their "Quantum" terminology. They literally just stick the word "Quantum" in front of everything and tell you it's new technology and people just eat it up. Pathetic.